2014 is almost over and we're looking forward to an exciting New Year with great music from all over the world. 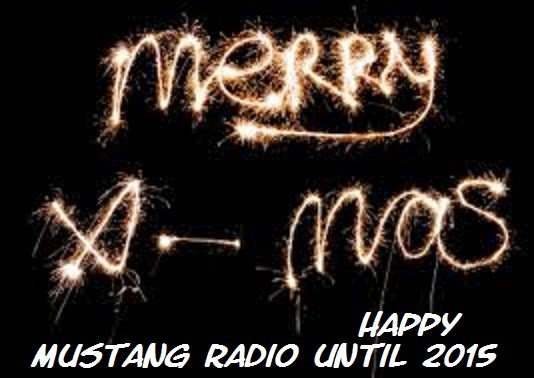 So why not welcome 2015 together with our little, tiny radio-show called NordAM? We bring you some nice Indie tunes as well as some random chatter in German. Sounds great, anyway, doesn't it? Please see http://www.shortwaveservice.com/empfangen/ to find out how you can listen to us via the internet. You are invited to pay a visit to our Facebook page where we'll also post the links for our live-streaming: https://www.facebook.com/nordamradio. By the way, detailed reception reports will be confirmed with a printed OR electronic QSL-card. 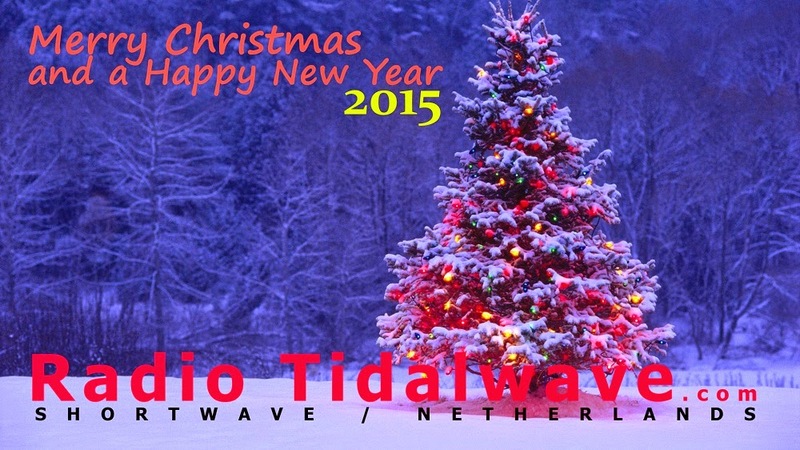 (Please note that everyone who listens to us via WebSDR or a live-stream will receive an eQSL.) Our address is nordam @ shortwaveservice.com. Please allow us some time to answer your reports. 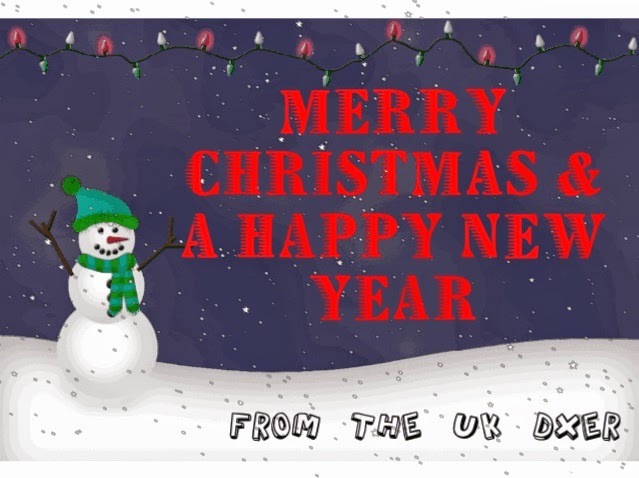 We look forward to hearing from you and wish you a HAPPY NEW YEAR and lots of fun in the world of radio. In state files released under the 30 year rule, a letter from Dublin City Council to the Government said they “deplored” the situation with pirate radio stations and was becoming a public safety matter as people could not reach doctors when the phones were out of use. 3930 1700 Radio Focus Int. Version of "12 Days of Christmas." SINPO 34333. 6005 1000 Radio Mi Amigo v R700. DT programme, oldies. SINPO 55444. 6065L 1655 Radio Mi Amigo v Sala, Sweden. Broadcasting in LSB. Station info, Rubettes. SINPO 55544. 6070 0955 Radio Marabu v Ch292. Female presenter, GM talk, alternative mx. SINPO 45433. 6220 0930 Radio Ronnie. Music. Weak signal. SINPO 24332. 6246 1014 Radio BZN. BZN music, ID jingle. SINPO 34333. 6267 0915 Skyline Radio Germany. Music just audible. SINPO 24332. 6285 0925 Radio Focus Int. Christmas music. SINPO 34333. 6295 1009 Crazy Wave Radio. ID, GM talk, oldies, strong peaks. SINPO 44433. 6305 0920 Radio Merlin Int. "Seasons in the Sun," SINPO 34333. 6380 0950 Radio Altrex. Pop. SINPO 24332. 6395 1650 Weekend Music Radio. ID, oldies. SINPO 34333. 6870 0852 Radio Samuray. Easy listening mx. SINPO 24332. 6943 0848 Radio Enterprise. Nik Kershaw. SINPO 34333. 6995L 1705 Baltic Sea Radio. "Johnny Be Good," ID jingle. SINPO 44433. 7300 0845 Radio Arcadia. Easy lisening mx. SINPO 24332. 7600 0840 Radio Polaris. Rammstein. SINPO 44433. 7700 0934 FRS Holland. Waterboys. SINPO 45433. 9335 0939 FRS Holland. Chris de Burgh. //7700. SINPO 24332. 9485 0944 Radio Gloria v MV Baltic. Shakespeare's Sister. SINPO 55444. 3930 1645 Radio Focus Int. Icicle Works. SINPO 34333. 6065 1546 Radio City v Sala, Sweden. ID, IT song. SINPO 55444. 6070 1103 Radio Marabu v Ch292. Alternative mx, GM talk by YL. SINPO 45444. 6205 1640 Laser Hot Hits v Magic 6205. Clash with Caroline on 6207, lively music, off 1643. SINPO 32332. 6207 1531 Radio Caroline-Rainbow. ID, Madness, SINPO 44433. 6246 1100 Radio Jingle Bells. ID jingle and off. SINPO 24332. 6267 1536 Skyline Radio Germany. Heavy rock. SINPO 34333. 6285 1120 Hobart Radio Int v Focus. ID, email, talk about radio. SINPO 34333. 6300 1528 Crazy Wave Radio. Rap, ID, asking for QSO. SINPO 44433. 6385 1551 Radio Baken 16. Taking part in QSO round with Ridiculous, Zeewolf, Test Pirate, Rob. SINPO 44433. 6395 1653 Weekend Music Radio. "Give Me Back My Love," talk about weather. SINPO 44433. 6995L 1625 Baltic Sea Radio. Big band mx, ID jingle. SINPO 44433. 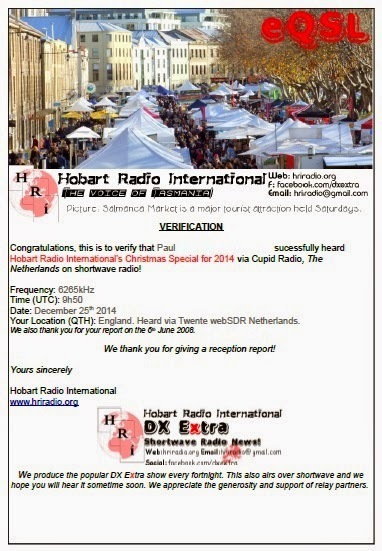 This quick reply came from HRI in Australia after I reported on their programme, relayed by Cupid Radio on Christmas Day. Thanks very much. This isn't my first HRI QSL - I received another in 2008 after hearing him via Spider Radio. But after a break of a few years he is back with new programmes and well worth a listen! 6216 0950 Radio Jingle Bells. Xmas mx, ID jingle, fair peaks. SINPO 24332. 6239 1000 Radio Marabu. ID jingles, GM talk, Xmas song. SINPO 44433. 6260 0925 Crazy Wave Radio. Soft rock, ID, GM talk. SINPO 34333. 6265 0955 Radio Experience. "Black Eyed Boys," ID, good peaks. SINPO 34433. 6265 1013 Radio Casanova. Greetings, ID, JM Jarre. SINPO 44433. 6285 0935 Radio Focus Int. Oldies, ID. SINPO 34333. 6295 0930 Tower Radio. DT music. SINPO 54444. 6305 0944 Radio Merlin Int. Band Aid. SINPO 23332. 6395 1007 Laser Hot Hits. Siouxsie & Banshees, talk about Xmas TV. SINPO 34333. 6875 1023 Radio Europe. Dance mx. SINPO 24332. 7310 1018 Radio Marabu v R700. Oldies. SINPO 55444. 7520 0940 Crazy Wave Radio. Move from 6260. Neneh Cherry. SINPO 54444. 3930 1641 Radio Focus Int. Soft Cell. SINPO 34333. 6207 1615 Radio Goofy. Michael Jackson, ID jingles. SINPO 44333. 6211 0955 Radio Mistletoe. 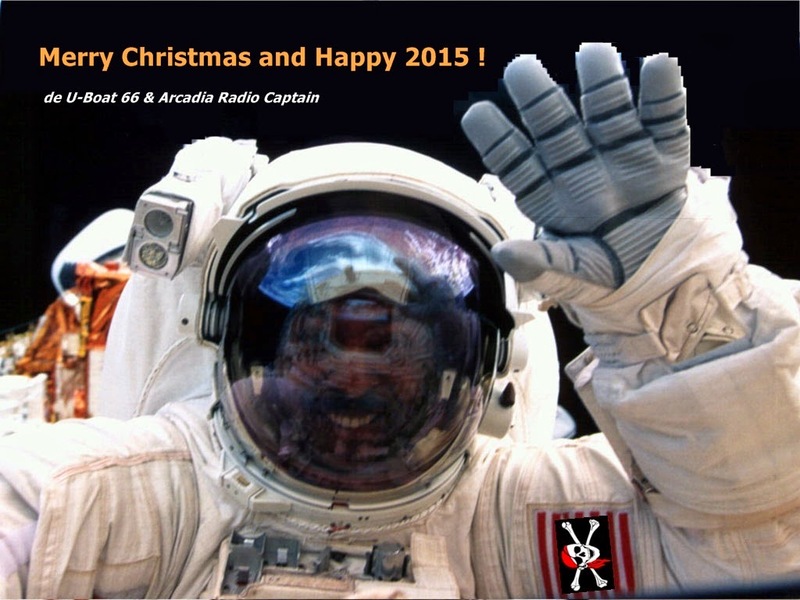 Annual Christmas broadcast, festive music and chat. SINPO 55444. 6220 1014 Radio Quasar. Soft rock, low mod. SINPO 24332. 6239 1000 Radio Marabu. Rock, ID jingle, ute QRM. SINPO 43443. 6260 0927 Crazy Wave Radio. ID, jingles, signing off. SINPO 54444. 6263.5 1628 Radio OZNRH (pres). Mellow jazz. SINPO 33333. 6265 0948 Hobart Radio Int v relay. Xmas music, talk about Christmas in Australia. SINPO 54444. 6285 0936 Radio Focus Int. Christmas music. SINPO 34333. 6297 0946 Top Radio. Christmas music. SINPO 34333. 6300 1611 Radio Carrierwave. Soft rock. SINPO 34333. 6307 0931 Skyline Radio Germany. ID, "Man of Action." SINPO 34333. 6375 0922 Radio Activity. Dutch FM pirate relay, oldies. SINPO 34333. 6380 1600 Radio Pluto. U2, ID, talk about stations heard. SINPO 44333. 6380 1637 Radio Abu Dhabi. Greeting Pluto, country mx. SINPO 544444. 6395 1605 Weekend Music Radio. "Say Hello Wave Goodbye," ID. SINPO 44333. 6400 0941 Radio Speedwing. Dance mx. SINPO 34333. 6940 1027 Premier Radio. "Fairytale of New York." SINPO 24332. 7310 1008 Radio Marabu v R700. Soft rock, not //6239. SINPO 55544. For details visit the new FRS website www.frsholland.nl which is on-line now. 3930 1532 Radio Focus Int. Oldies, not //6285. SINPO 34333. 6207 1513 Radio Caroline Int. Jingle, GM music. SINPO 44433. 6220 1145 Radio Astra. Oldies, close down. SINPO 24332. 6239 1138 Radio Marabu. ID, GM talk, rock, ute QRM. SINPO 33333. 6245 1434 Radio AC DC. Heavy rock, ute QRM. SINPO 43443. 6265 1445 Radio Experience. Madonna, ID. SINPO 44433. 6285 1148 Radio Focus Int. Xmas music. SINPO 34333. 6295 1622 Radio Telstar Int. Inst guitar mx. SINPO 54444. 6307 1503 Skyline R Germany. Testing new antenna, "Star Wars," ID. SINPO 34333. 6324 1710 XTC (tent). Weak with het from carrier, music just audible. SINPO 23432. 6385 1628 Radio Witte Reus. Bob Marley. SINPO 44433. 6735 1141 Cool AM. Jingles, oldies. SINPO 24332. 6747 1508 Radio Pioneer. Polka. SINPO 54444. 6803 1438 Radio Pink Panther. Soft rock, strong. SINPO 54444. 6925 1456 Trans Europe Radio. Xmas mx. SINPO 44444. 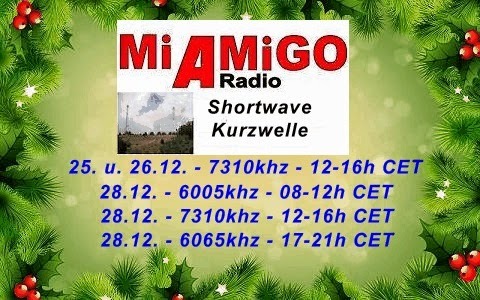 Some very good news for you, we have in December a lot of special programms for you on shortwave. 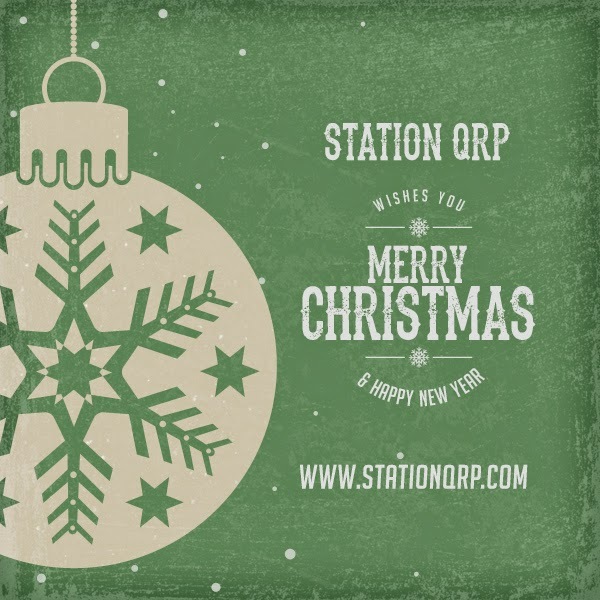 A lot of good and special programms are waiting for you, like special Christmas Programms ans also a special "Offshore Top 50" from 1974. Hope you all listen and we get a lot of reception reports, also you can win great prizes. 23, 24,25. Dezember 2014 durchgehend auf der Frequenz 6240 kHz. Über Zuschriften, Kommentare zum Programm und Empfangsberichte würden wir uns sehr freuen. Quick reminder - our programme number 2 will be broadcast on 7265 kHz tomorrow, Saturday 20th December, at 14:00 UTC, by our friends at Hamburger Lokalradio. "WMR and RADIO GSV are taking a break for now to try and find a new remote broadcast site. The last transmission for WMR was 23rd November. This was forced upon us due to web trolls that made broadcasting from the Radio GSV fixed location too risky. We had a good run though. It is just a shame that we probably will not make it on the airwaves this Christmas time as planned. The programme on 23rd November featured a recording from Radio Woodstock from 1980, a Scottish pirate station that ran live from Falkirk for a few months, and took phone calls live on air." It is a big shame that some idiots have decided to sabotage WMR/GSV's broadcasts. Hopefully they can find a new secure location and return to the airwaves soon. Hobart Radio writes: "I sent an email out to the group about a week or two ago requesting help relaying shows here from downunder in Australia. I'd like to say a big thank you and that is has been extraordinary to see such generosity to get shows on the air by different stations. Thank you! It is very exciting to see the hf band is no way nearing an end unlike many government broadcasters feel. Shortwave is not an ancient technology! 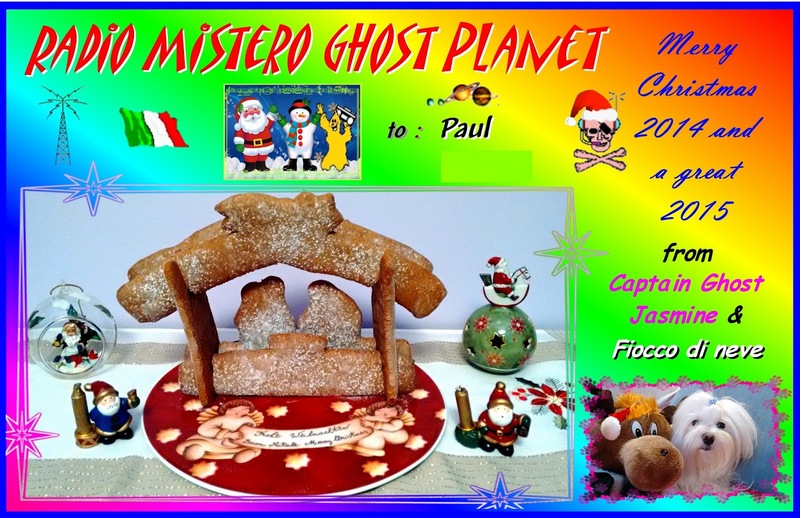 I have produced a shortwave broadcast-ready 2014 Christmas special which I would like to offer to any other pirates who would like a one-off different show to broadcast over the Christmas period. In this year's show we play music by John Lennon and Cascada, we travel back to Australia in 1958 via Doctor Who's spare TARDIS and see what Christmas means then. On our journey home we get a comical cultural dose of a hot summers Christmas in Australia - it's no winter wonderland downunder! And as we do every year we finish it off with Jiminy Cricket's Twas the night before Christmas." We'd like to invite all of you to participate in the upcoming traditional Seasonal December 28th broadcast. Basically we offer the possibility to spread your very own personal New Year (December) Greetings or musical request by way of the ionosphere. We will read them out in our 6 hour broadcast on the final 2014 Sunday. You can dedicate your greetings to anybody or anything . It's up to you! 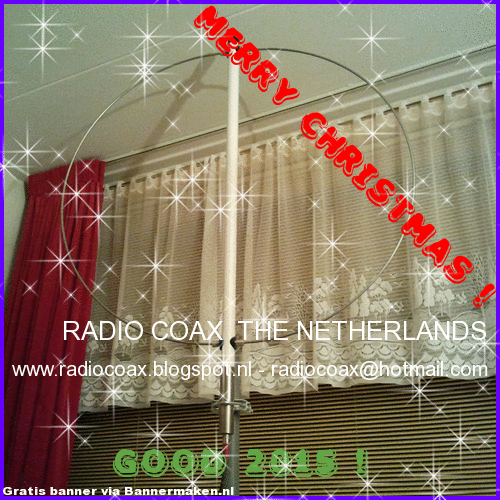 Greetings can be written or taped (CD, MD or mp3 file) and send to our P.O.Box 2702, 6049 ZG Herten in the Netherlands. Of course the easy & quick way is by sending an e-mail: . Remember: you can add something special to our December 28th broadcast. As one of our jingles says: Short wave radio is two-way traffic.... Your input is our output! Make sure your contribution reaches us in time. Latest on December 16th. The sooner = the better! We are looking forward hearing from you !!! Up till now a few listeners have contributed....we are trying to have your involvement too. Let's do it together....December 28th......it will only take a few minutes to add a little bit extra/ special to that broadcast. "I am writing to see if a station is willing to form a partnership. I publish the popular DX Extra shortwave news show at hriradio.org getting around 500 listeners a month - 250 per show and growing. "I am passionate about the pirate radio hobby and feature pirate radio logs including recordings on the show. Back in the mid 2000s Hobart Radio International was proudly being relayed by The baltic sea relay station and JRRI. Would a station consider relaying the show as a partnership so I could announce your station at the end of each show as well as promote it on the website with a direct link to your show, the link would also be displayed on every show published as it is included in the transcript. I am even open to the possibility of promos advertising the radio station. I am very passionate about the shortwave hobby, dxing to hear new and exciting content on shortwave but really feel disconnected with hobbyists who used to tune into Hobart Radio International between 2005-2008. It would be great to once again reach a European audience and maybe even an American audience. Sadly commercial stations cost a lot making it hard for independant small stations to get out into the radiowaves." Don't forget to "LIKE" us there, thanks a lot. We hope to get a lot of mails and letters during the Christmas-time if it is reception-reports, song requests or whatever. I was tuning around 27 megs on the Twente SDR when I heard this Dutch station on 27125 kHz in FM mode. Very strong signal so I guess broadcasting from the Twente area. I sent a clip to Sluwe Vos who thinks it might have been 27 mHz amateur relaying an FM pirate. I have heard Dutch pirates on this band before. Here is the 2:40 minute recording I made on November 21 at 2120 UTC. Any other suggestions welcome.